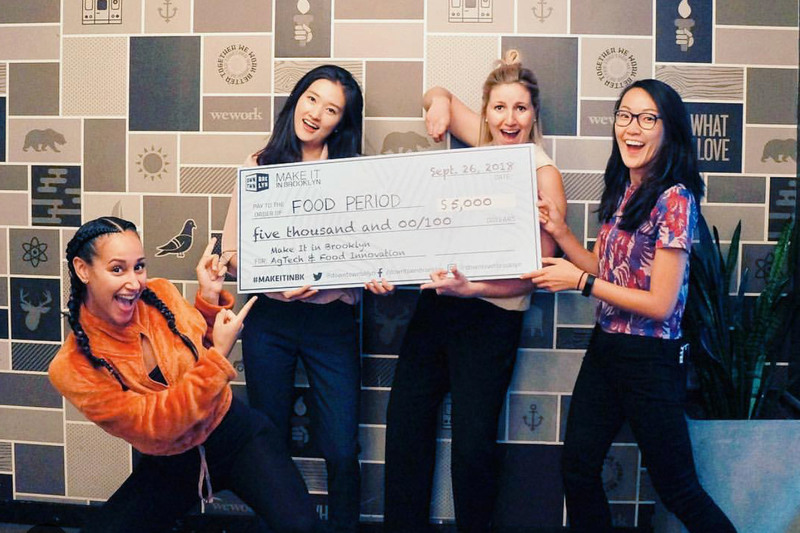 Food Period aims to empower women to self-regulate their hormonal health and menstrual cycles. Its subscription-based services support women’s periods by using natural food products and processes, such as commercialized Seed Syncing. We reached out to Co-Founder Britt Martin to find out more about where the company is headed. DBP: Tell us about Food Period. Britt: Food Period helps women have great periods, naturally. Our functional food products are designed to support and improve women’s menstrual cycles. DBP: What inspired you to start Food Period? Britt: Two and a half years ago I was diagnosed with Hodgkin’s Lymphoma - a type of blood cancer - and six months of chemotherapy caused me to stop getting my period entirely. The only real option my doctors had for me was to use the hormonal birth control pill to reinstate my cycle after treatment, but I was unwilling to put more chemicals, more synthetic hormones into my body, so I sought out natural solutions for period irregularity. Eventually, I found a functional nutrition practice- called seed syncing or seed cycling- that helps women rebalance hormones, naturally. Following the protocol, my period returned and I’ve enjoyed a great period ever since. 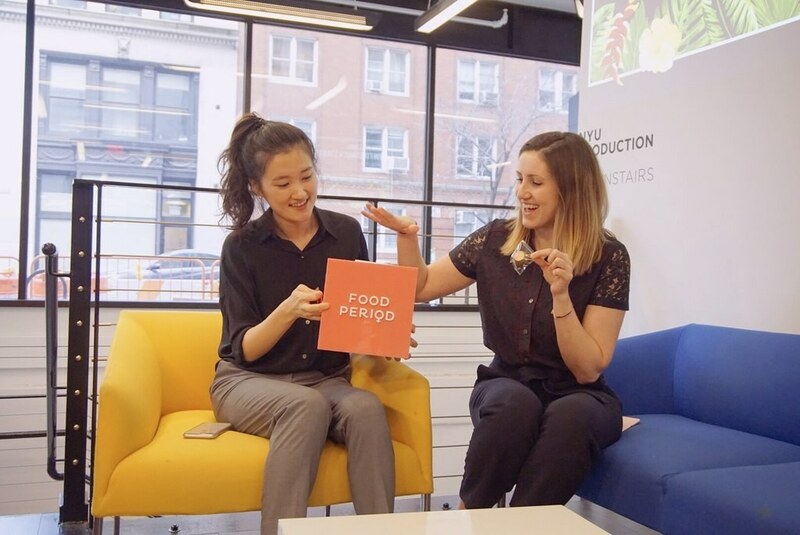 Jenn and I started Food Period because we wanted to make natural, food-based solutions for women’s health challenges- starting with period problems- more easily accessible. DBP: How did you feel when the judges announced Food Period as the winner of the pitch contest? Britt: We were so excited that Food Period won. For an early stage startup, non-dilutive funding is so helpful. But even beyond that, it means everything that organizations, like Downtown Brooklyn and AgTech-X, recognize the importance of expanding the option set for women’s health challenges and that food and nutrition is a terrific vehicle to achieve that. So many women came up to us after to thank us for what we’re building; to be honest, those conversations feel even more exciting than the win! DBP: How do you plan to use the $5,000 cash prize to advance your business? Britt: We’re in a time of transition, with a need to scale manufacturing as we near capacity with our current production methods. We plan to put the $5,000 toward both new equipment and upgraded, more-environmentally conscious packaging. DBP: How will the in-kind legal services provided by Brooklyn Law School benefit Food Period? Britt: Legal services can be so expensive, especially when your budget is so tight as an early stage startup. There are so many legal questions that have come to the forefront, as we grow, so we’re excited to be able to work with Brooklyn Law School to help answer some of those! DBP: Why is NYC a great place to do business for your startup? Britt: People often say that our business would do so well on the West Coast, as people are more into natural health and wellness. We both grew up on the West Coast, so we definitely know this to be true, but we truly believe that New York is where we should start and operate our business from. The startup environment here is a bit smaller, but we’ve found it to be much more supportive as a result. It’s less about competition and more about lifting each other up. Even at the pitch-off event, one of the other startups produced their product out of the same Brooklyn commercial kitchen as us and when we realized, immediately it was like we were on the same team. DBP: What are the challenges of being a female entrepreneur in a traditionally male-dominated field (ie startups and tech)? Britt: We founded Food Period as the dialogue about the need for more female founders began to percolate. Although the gender disparity amongst founders is always omnipresent, recognizing it as a problem, I’ve found, has made investors and organizations more aware of their (subconscious) bias. For us, being a women-founded and -led company is one of our biggest strengths. Who better to solve problems for women than women! Although it’s not always reflected in the language we use, we do have an inclusivity policy at Food Period. We acknowledge that it is not only women who menstruate and that not all people who experience menstruation are female. We celebrate all menstruating bodies! DBP: What’s next for Food Period? Britt: Although we’ve gone back and forth about whether we’re looking to raise capital or not, we are raising a seed round in early 2019. We’ve been fortunate to have raised almost $110,000 in non-dilutive grant funding to date; one of the most notable wins was First Place in NYU Stern’s 300K Challenge this past May. And a fun fact is that although this is the first business venture Jenn and I have had together, we have been teammates before. We competed in high school as badminton doubles partners at the Provincial-level (equivalent to State). DBP: Thanks Britt and congratulations on the win! Our readers can use promo code BRKLYN for $20 off their first box of Moon Bites, which commercialize the seed syncing practice and make it convenient and delicious to calm period-related symptoms and improve cycle regularity. Learn more at www.foodperiod.com.